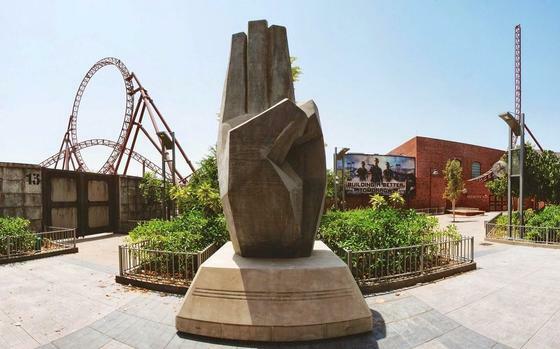 Panem Aerial Tour is a motion base ride in Lionsgate at motiongate Dubai. While it's not the best, it is also recommended. A Hunger Games-themed 3D suspended theater where guests ride a soaring hovercraft across Panem. This is a fantastic 3D experience flying over the city of Panem. There is also several of the films actors included in the media for the Queue lines and inside the Aerial Tour as well! The visuals are great and its a wonderful fun ride!